Stop by the Power Bar! Nutrition is critical! Achieve your performance goals more quickly with refuel and recovery products from the Power Bar. 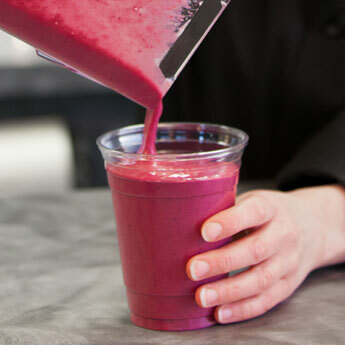 Healthy smoothies with no artificial additives, preservatives or synthetic sweeteners! Featuring drinks like Chocolate Thinny Mint, Java Jolt and Berry Blast, we have categories of shakes that include refueling & detox, meal replacement, and trim & low-cal. Our 24 smoothie lineup contains high quality whey protein and delicious natural flavors! Check out our goodness!